Omega Torrent will help you to download torrent files in a very quick and simple manner. You won't have to waste any time with complicated settings, because Omega Torrent will make things easy for you. This P2P program stands out due to the fact that it allows the user to start to download files without having to configure the application. To start using Omega Torrent you only have to indicate the folder where you want to save the downloaded files. After that, by simply pasting the link of the torrent file, that application will start to download it. It also allows you to search over the Internet for the files that you are interested in, by means of a search box that's integrated in the program. 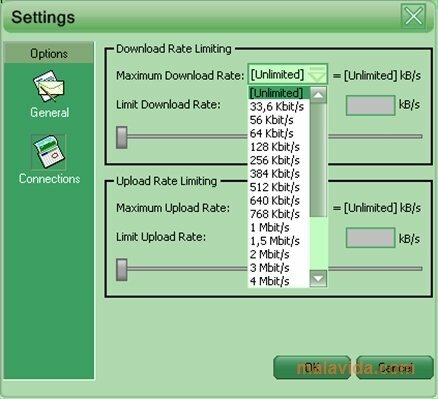 Omega Torrent has a configuration option that will allow you to limit the bandwidth of the downloads and uploads. Once you add a download link, Omega Torrent will show you information about the file, its name and the creation date. After adding it to the list, the download will start automatically, with the possibility to pause it and stop it whenever you want. If you want a simple program to download torrent files, try out Omega Torrent.